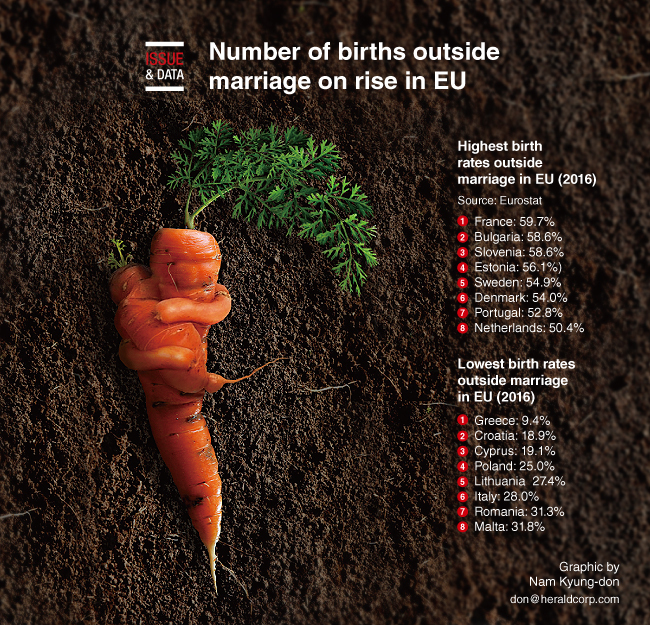 The rate of births outside marriage is on the rise in all EU member states to a greater or lesser extent, with the highest one recorded in France (59.7 percent in 2016) and the lowest in Greece (9.4 percent), the statistical office of the European Union (Eurostat) said in a statement. According to Eurostat, Bulgaria and Slovenia accounted for the ratio of out-of-home births with 58.6 percent, followed by Estonia (56.1percent). Sweden (54.9 percent), Denmark (54 percent), Portugal (52.8 percent) and the Netherlands (50.4 percent).